While you can get rid of fogged up windows pretty easily using your vehicle's defogger system, or by cranking up the heat, it takes some time and won't always keep the fogginess away. If you're anything like me, you don't have extra time in the morning to wait for the defogger to do its job. And you're in even worse shape if your defogger is busted. 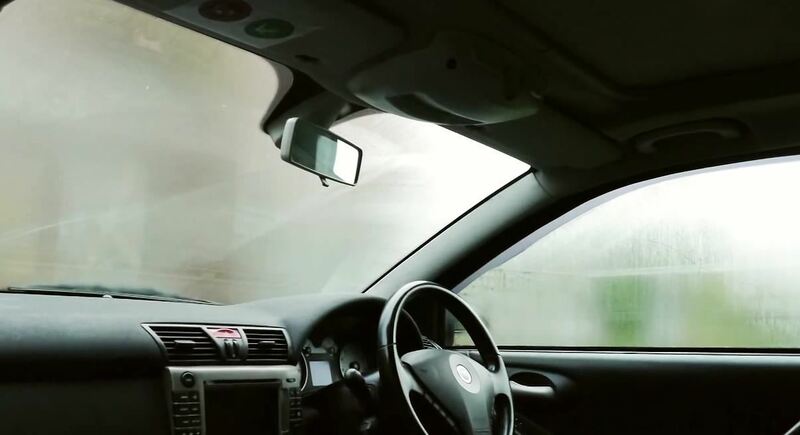 Instead of spending valuable minutes wiping down the glass or waiting for the defroster to do its magic, try out this unique hack for clearing up fogged up windows without any real work. Rather than waste gas or time, turn to the incredible absorption powers of kitty litter. As Dave Hax demonstrates in his video, filling a sock up with cat litter is the perfect solution to keeping your car windows fog-free. Litter is designed to absorb moisture, so a simple sock stuffed with cat litter will grab all of the damp, wet air within your car and pull it into the sock, away from those all-important windows. 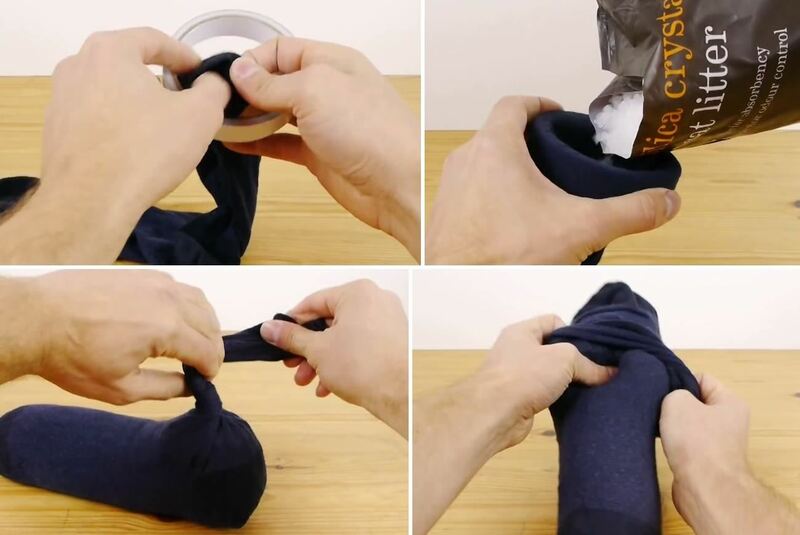 To make it, just find an old pair of socks, use a roll of masking tape to keep one sock open, pour in the cat litter up until the ankle, remove the tape, tie off, then wrap the second sock around it. What Type of Cat Litter Should You Get? Though cat litter is an incredibly absorptive material (after all, that's it's primary job), not all types of litter will prevent foggy windows. 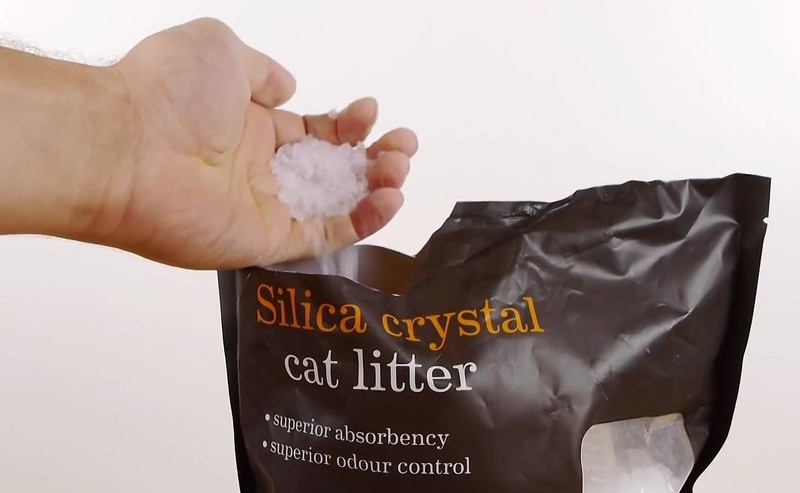 Dave Hax recommends using a silica blend of litter, as it's the most moisture-friendly matter. Where Do You Keep the Sock? Additionally, while keeping a litter-filled sock anywhere inside your car will reduce the amount of moisture hanging around, it's best to keep your sock on your dashboard if you seek a clearer windshield, or near your rear window if your rear defogger is broken. That way, the litter is closest to the source of moisture and is able to quickly absorb the problem as it occurs. When this trick stops working, that means it's probably about time to change the litter within the sock. Does This Trick Work for You? 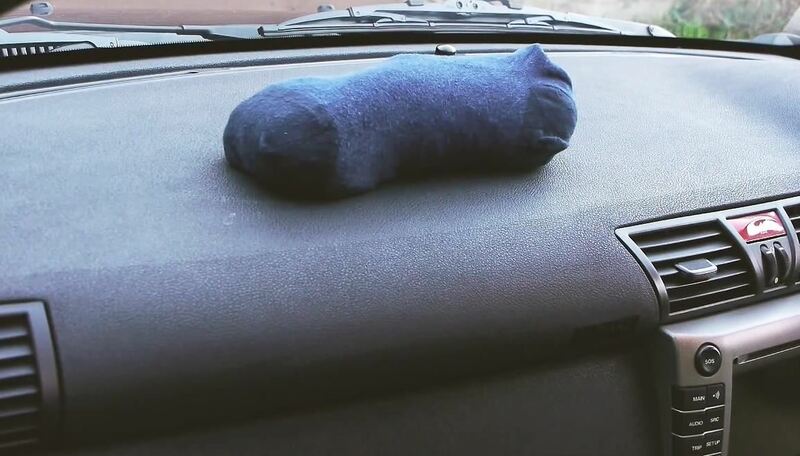 While it might seem odd to carry a litter-stuffed sock inside your car, your early morning woes will be eased as this moisture-absorbing hack replaces the fog upon your windshield with clarity. Does a cat litter sock keep your car windows fog-free? Let us know below! For more clever hacks from Dave Hax, check out his WonderHowTo profile. As with mirrors in your bathroom. Rub bar soap on the window and buff it in until clear. You have to refresh it from time to time. But, just as easy. That's too much work for me, haha, but great tip! That's a great tip, too! Thanks for sharing. You can also use the A/C. Even during the winter. With the temp dial turned all the way on hot, turn on the A/C, it will keep the windows from fogging up. I keep the A/C on year round in my truck, rarely do I get fogged windows. soo what about when its winter and you're a regular person who gets cold when its cold out and therefore needs the air to get warmer, not colder? ?